The first Lexus IS was the Japanese firm’s answer to the ever-successful BMW 3 Series, and was available as both a saloon and estate. Standing out from the compact exec norm it captured plenty of buyers, a feat Lexus was keen to repeat with its replacement in 2006. 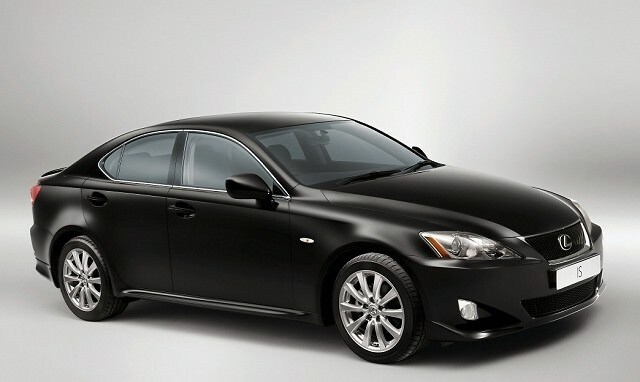 The first Lexus IS was the Japanese firm’s answer to the ever-successful BMW 3 Series, and was available as both a saloon and estate. Standing out from the compact exec norm it captured plenty of buyers, a feat Lexus was keen to repeat with its replacement in 2006. This time a saloon was the sole choice in Ireland, and though not as distinctive as the first, quality was improved and a diesel engine offered. The second generation Lexus IS range is a narrow one. The saloon has a chronically small 378-litre boot with no fold-flat facility - a solitary ski hatch the only concession to practicality. Still, the rest of the interior is much better, with high quality materials and a level of fit and finish the premium maker is famed for. It wasn’t famed for diesel engines however, and the second generation introduced the public to Lexus’ smooth 2.2-litre four-cylinder unit. On paper performance is good, but in reality it feels much weaker - a fact compounded by the 2010 introduction of a detuned IS 200d model, though this makes up for its lack of pace with improved economy and efficiency. Both a six-speed automatic and manual were offered, though the latter can sometimes feature a tricky clutch making for less than smooth getaways. Petrol power was catered for by the 2.5-litre V6-engined IS 250, but this remains a rare model on the used market thanks to its poor economy. Facelifted in 2009, the range was initially made up of Sport and Executive models though later the Sport was dropped and Executive was supplemented by S-Design and F-Sport trims. The IS 200d may be 27hp down on the IS 220d, but it’s this 150hp model that makes the most sense thanks to CO2 emissions of 134g/km and a combined consumption of 5.1 litres/100km. It was only available from 2010 though, so if your budget doesn’t stretch this far we’d recommend sticking with the IS 220d rather than the rare petrol powered IS 250. Post-2009 facelift models drive much better thanks to chassis changes, and we’d seek out an Executive model and enjoy the high levels of standard equipment. If you plan to enjoy ownership more than the actual driving the Lexus IS makes a good alternative to the venerable BMW 3 Series it so desperately tries to ape. Solid, safe and secure, it also feels special and expensive inside while the brand’s reliability record is second to none. Only the small boot and limited choice of models lets it down.